The art of meditation is to change the conditioning of your mind and then go beyond your identification with it comes down to practice, commitment and surrender – just as yoga asana practice does when it comes to conditioning your body. Meditation seems very simple – sit still and quiet your mind. In reality, you will find this process extremely difficult. Your mind will not stop, words and images will fly around, your thoughts will meander from point to point, things that have happened, things you need to do and things you want to do. Clearing your mind of these day-to-day things will take time and effort. But you need to start somewhere. The first stage of meditation begins with learning how to concentrate the mind on one thought or object for a period of time without allowing the senses to drag the mind off like wild horses driving a chariot. We call this process ‘being present’, the ability to think about what you are thinking about. Science calls this meta-cognition but yogis have known this practice for eons as “the eternal witness” (shakshin) or “seer” (drashtu). I’ve had many people come to me and say: “I’ve been meditating for years – ever since I was young” but it’s plain to me that they still wear a mask of ego. They’re still unhappy, judgmental and also guilty that they have told yet another person that they are a committed meditator despite the fact that they know deep down it isn’t doing what has been promised. My immediate thought is that if they’ve been meditating for years why are they saddled with so much excess baggage? In truth – and this is a hard thing for people to accept – if they have been meditating for so many years and are not feeling the effects, there must be something wrong. Maybe what they really should be saying is: “I have known about meditation for years, I have tried it but I don’t get it. I feel like it could help me but I haven’t been able to make it work for me”. This was indeed the truth about meditation for me for many years. I had learned all about meditation when I was young and, while I certainly had moments of peace, I just didn’t get it until a lot later in my life. For me, the real art of meditation came after being brought to my knees through a string of tragedies that left me with no other option but to surrender to the universe. It was through surrender and completely letting go that I found meditation, not through control or forced effort. Duncan is the original founder of P.L.A.Y. and over the last decade has successfully pioneered contemporary yoga styles to Australian shores and sets the highest standard in asana facilitation, teacher trainings and yoga retreat delivery in the country. Whilst Duncan was introduced to Raja Yoga in his teens to deal with stress and grief, he smashes the stereotype of what a Yogi should be and rather focuses on being himself and creating a methodology inspired by ancient teachings that he believes is relevant for today’s world. His classes are powerful, strong, fun, and heartfelt, with his irreverent sense of humor bringing a unique lightness to the depth of practice he teaches. 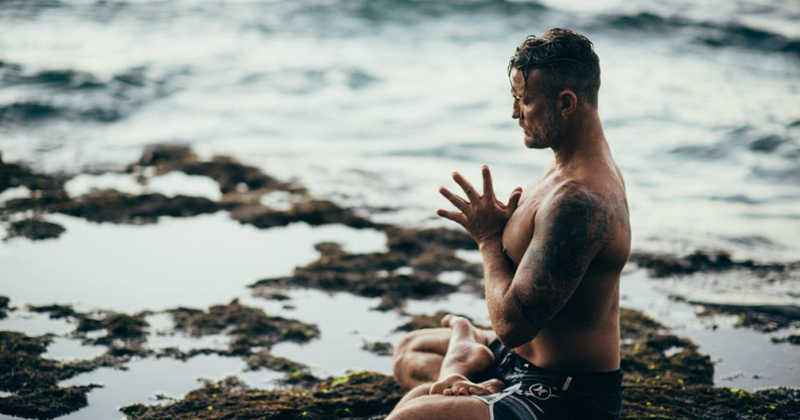 He spends his time travelling and teaching between the all of the Power Living studios and delivering teacher trainings and retreats in Byron Bay and around the globe. Check out his classes and trainings, they rock but get in early as they are usually packed!